IN October 2008, the President of the European Patent Office (EPO) issued a Referral to its Enlarged Board of Appeal (EBoA) concerning the questions as to the examination and granting of software patents in Europe. In the absence of European legislative initiatives, the EBoA’s conclusion on this matter is likely to have the same effect as a software patent directive. 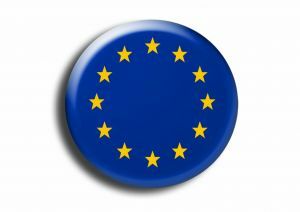 “In the absence of European legislative initiatives, the EBoA’s conclusion on this matter is likely to have the same effect as a software patent directive.”However, since this decision will be based on a purely legal interpretation of the European Patent Convention (EPC) by the EBoA, it will not be accompanied by more extensive political and economic debate. As stated by the EPO, third parties may wish to use the opportunity to file written statements before the end of April. The FFII would like to ask you to consider writing a statement in the name of your company, organisation or as private person, and if possible also to support the action plan of the FFII (see below). You can see statements already submitted by others. The FFII offers a dedicated mailing list for discussions on the referral and a petition page against software patents. With an action plan, the FFII are funding two experts to work full-time on the issue and also produce detailed documentation about software patents in Europe, to be published in the near future. They need your contribution in order to do this. Please consider making a donation, marking it as ‘EBoA Referral’. At present there is no central jurisdiction for European or community patents. National court decisions are still not fully aligned with the European Patent Office’s (EPO) granting policy concerning software patents that has been developed by decisions of the EPO Boards of Appeal. The disparity between national patent enforcement courts and the EPO’s granting practice was one of the reasons why a directive on the patentability of computer-implemented inventions was proposed. This directive, as well as the 2000 attempt to change the European Patent Convention, was rejected not least because of the larger FFII network’s activities. “The disparity between national patent enforcement courts and the EPO’s granting practice was one of the reasons why a directive on the patentability of computer-implemented inventions was proposed.”Despite the fact that several attempts to formally legalise software patents in Europe proved unsuccessful, the EPO still has not adapted to the developments in the political arena. The EPO still grants software patents under the application of loopholes created by its Boards of Appeal decisions. The EPO’s granting practice gradually gains more acceptance in national courts thanks to a trickle down effect, while the legal certainty of national software patents remains to be determined. Validity rulings and opposition mostly reject questionable software patents out of novelty and inventive step considerations, but not on grounds of the substantive scope of patent law. On October 22, 2008 the Enlarged Board of Appeal was asked by the President of the European Patent Office, Alison Brimelow (UK), for an opinion concerning the exclusion of computer programs as such according to Article 112(1)b EPC. She highlights that this matter is of fundamental importance as it defines the limits of patentability in the field of computing. The Referral is divided into four chapters. The first chapter describes the background to the Referral, the second chapter concerns definitions of auxiliary terms such as software, while part three includes four questions about substantive law interpretation. Part four describes the legal framework and options for its development. The President also added background information and an overview of BoA decisions related to this specific matter. The FFII has a wiki page where comments on the questions can be added. The EPO Enlarged Board of Appeal decided to allow third parties to make statements concerning the points of law (November 11, 2008). The FFII will provide legal considerations which challenge the controversial Boards of Appeal decisions and thus influence the decision-making process. In the absence of legislative clarifications, some courts in the UK recently accepted EPO ‘case law’. The opinion of the Extended Boards of Appeal will create the precedent for all future legislative developments. As there is no legislative scenario in sight which might overrule the EBoA in case it permits software patents, this particular Referral needs the FFII’s attention. Other parties interested in software patents are going to submit comments in favour of software patents. Philips, in fact, has already done so. The FFII will submit entries to the Enlarged Board of Appeal in order to bring about a more balanced assessment, and to help the EBoA arrive at legal solutions that are closer to their expectations. The communication targets are patent technocrats with a different belief system to which others need to adapt. So far, FFII members have concluded that several different strategies can be applied. They have discussed these extensively with patent experts. For strategic reasons they cannot make them public, suffice it to say that they are currently in the process of finding collaborators in the FFII’s attempt to stop software patents. Recent EPO legal patent literature has done little to challenge or even criticise the teachings of the EPO. Patent scholars from other professions such as political science, economics, etc. are hardly discussed in the legal literature. Patent professionals’ task is not normative legislature, but winning cases and applications. While there has been sustained disagreement with software patents in the field of business, legal literature still hardly reflects this shift. Inside the EPO there is no open debate and employees are bound by strict staff obligations (cmp. Communique 22). The EPO aggressively intervenes in political and scientific debates, while the patent community’s belief system is still largely determined by an unchallenged endorsement of software patents. The EBoA’s members are not necessarily eligible for judicial office, and some of them are merely technically qualified. The EBoA’s lack of independence is a known issue and an EPO reform is underway to make these bodies more independent. Some patent scholars altogether question the legal quality of EBoA reasoning. The political debate over patent law is largely blocked. The fact that no corresponding parliament report was issued in response to an official communication from the Commission about the future of Industrial Property policy testifies to this. Members of the EBoA will probably only accept legal considerations and solutions. The EPO’s dogmatic language is shielded against public criticism and, even for legally trained people, like a net in which one easily gets caught. Its reasoning is often based on logical fallacies and hidden value judgments. Patent law interpretation practice is expansive. In an allegedly unclear situation, the patent community will always argue against exclusion from patentability. It lacks a negative definition of “invention” and a sound basis in legal teaching which could be used to explain why a field is not to be covered by patent law. Patent professionals generally do not understand the economic rationale behind incentive system application, while economists often assume for their model that the patent system has the claimed effects. Complicated institutional conflicts between German and UK patent traditions loom in the background of the Referral. De facto European patent policy and litigation is strongly dominated by UK and Germany stakeholders and traditions. The following conferences – among others which are not public – will be or have already been attended by some FFII members. Sponsored by the EPO. Alison Brimelow has been invited. If you consider the FFII’s work important but you are not able to help actively, you can become a passive sustaining member of the FFII, starting at 15 EUR per year. Tax number: 143 / 843 / 17600 at the German tax office in Munich.